Great news that I wanted to share with you all!!! 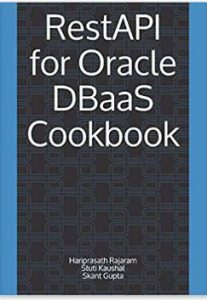 I am delighted to announce the launch of my first Oracle technical book named “RestAPI for Oracle DBaaS Cookbook”. This book authored by myself (Hariprasath Rajaram, Cloud OCP on DBAAS), Skant Gupta (Oracle Certified Master) and Stuti Kaushal (Oracle Certified Associate) describe the hands-on guide imparting practical working knowledge and guidance of RestAPI concepts. The primary target audience are Oracle DBAs and Oracle Cloud DBA’s (DBaas). 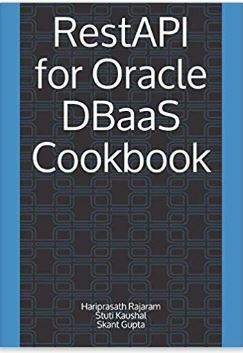 This book has been diligently planned for all levels of DBA experts. 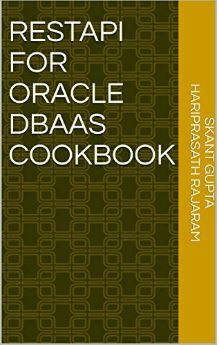 Coming right from the real-world practicing DBA’s, this book is written as a hands-on guide imparting practical working knowledge and guidance of RestAPI concepts. Chapter 1, Introduction to RestAPI covers the Fundamentals of RestAPI, verbs, methods and status codes. Chapter 2, Access Rules discusses the method of creating a rule, viewing a rule, enabling a rule, disabling a rule and deleting an access rule using RestAPI in Oracle Database Cloud Service. Chapter 3, Backup and Recovery discusses method to start a backup operation, viewing all backup operations, starting a recovery operation and viewing all recovery operations. This book is available on Paperback, Kindle Edition and PDF version. Special thanks for Skant Gupta for initiated the writing of this book and helped me to complete it on time successfully along with Stuti Kaushal. Special thanks to my wife and son who have patience during this time and helped me to complete this book. Without your support, i would not have completed this!!! 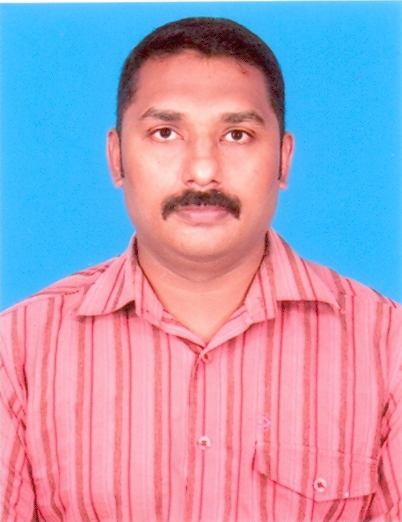 Thanks for overall support and guidance from AIOUG team, especially Hariharaputhran and Harish for their support. Load data across a network if your data files are on a different system than the database. Load data from multiple data files during the same load session. Load data into multiple tables during the same load session. Specify the character set of the data. Selectively load data (you can load records based on the records’ values). Manipulate the data before loading it, using SQL functions. Generate unique sequential key values in specified columns. Use the operating system’s file system to access the data files. Load data from disk, tape, or named pipe. Generate sophisticated error reports, which greatly aid troubleshooting. Load arbitrarily complex object-relational data. Use secondary data files for loading LOBs and collections. Use conventional, direct path, or external table loads. Input Datafile contains file containing the data to be loaded.The record format can be specified in the control file with the INFILE parameter. Control file contains the instructions to the sqlldr utility. This tells sqlldr the location of the input file, the format of the input file, and other optional meta data information required by the sqlldr to upload the data into oracle tables. 3. Discard file contains rejected rows those were discarded because they were filtered due to a statement in SQL*Loader control file. Data written to any database table is not written to the discard file. 4. Bad File contains the records which are rejected either by SQL Loader or by the database because of the bad formatting or data type mismatch.It will have the same name as the data file, with a .bad extension. 5. Log File contains a detailed summary of the load, including a description of any errors that occurred during the load. 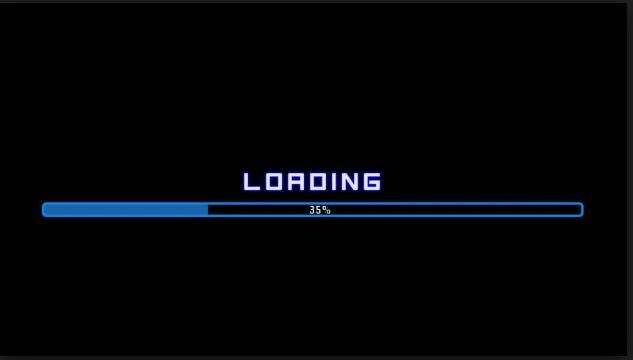 INSERT : Default value for loading data using SQL loader. for more information about the load. SQL*Loader: Release 12.2.0.1.0 - Production on Thu Sep 13 02:47:18 2018Copyright (c) 1982, 2017, Oracle and/or its affiliates. All rights reserved. When REPLACE is specified, the entire table is replaced, not just individual rows.It uses an implicit truncate of the table to replace existing data. It does not look at specific rows but rather removes all rows and inserts new ones, even if the new data is the same as the original data. TARGET_EDITION parameter used in import datapump process. You should remove the objects from the target edition before importing the dump.Importing the dumpfile / views to ORA$BASE edition. Drop the target edition present under HARI user and import TARGET_ EDITION. Import the dumpfile / views to ORA$BASE edition. Copyright (c) 1982, 2018, Oracle and/or its affiliates. All rights reserved. SOURCE_EDITION parameter used in export datapump process. Oracle provides the provision for different versions of same object under different editions. Suppose if you wanted to backup and restore these versions into across different editions using these options. The objects are limited to some set of objects which is not having the storage. All other schema object types are noneditionable. Table is an example of an noneditionable type. A schema object of an editionable type is editioned if its owner is editions-enabled; otherwise, it is potentially editioned. A schema object of a noneditionable type is always noneditioned, even if its owner is editions-enabled. A table is an example of an noneditioned object. This is a common requirement for DBA to export data from production for various purposes. In a restricted or production environment it’s a must to mask a particular data while exporting from production. schema — the schema containing the table to be remapped. By default, this is the schema of the user doing the export. tablename — the table whose column will be remapped. column_name — the column whose data is to be remapped. The maximum number of columns that can be remapped for a single table is 10.
schema — the schema containing the PL/SQL package you have created that contains the remapping function. As a default, this is the schema of the user doing the export. pkg — the name of the PL/SQL package you have created that contains the remapping function. function — the name of the function within the PL/SQL that will be called to remap the column table in each row of the specified table. In impdp process,emp table column ID data is encrypted in target database.Import with REMAP_DATA parameter option,the column ID data of emp table is imported with decrypt original data. The PARTITION_OPTIONS parameter determines how partitions will be handled during export and import operations. The syntax is shown below. NONE: The partitions are created exactly as they were on the system the export was taken from. DEPARTITION: Each partition and sub-partition is created as a separate table, named using a combination of the table and (sub-)partition name. MERGE: This option will import all partition data into single table. The NONE and MERGE options are not possible if the export was done using the TRANSPORTABLE parameter with a partition or subpartition filter. If there are any grants on objects being departitioned, an error message is generated and the objects are not loaded. Indicates whether the master table should be deleted or retained at the end of a Data Pump job that completes successfully. The master table is automatically retained for jobs that do not complete successfully. ORA-39173: Encrypted data has been stored unencrypted in dump file set. Master Table is not deleted after the job completes. The drop of the master table does not lead to any data dictionary corruption and if you keep the master table after the job completes, then a drop of the master table afterwards will not cause any corruption either. When METRICS=YES is used, the number of objects and the elapsed time are recorded in the Data Pump log file. We have additional information can be obtained about the number of objects that were processed and the time it took for processing them. the extra details are logged in the logfile of the Export Data Pump or Import Data Pump job. This parameter is useful when you wanted get the approximate size of the dump file. Suppose you have only limited space available in the disk and if you wanted to check whether your dump will be fit into the available space then you can use this parameter to check or estimate the size of the dump with doing the actual export. The default option for this parameter is ESTIMATE_ONLY=NO. You don’t need specify any of other parameters like directory, dumpfile etc. If ESTIMATE_ONLY=YES, then Export estimates the space that will consume but the export operation will not performed.